HomeOff-TopicWhat is exactly technology integration in teaching? 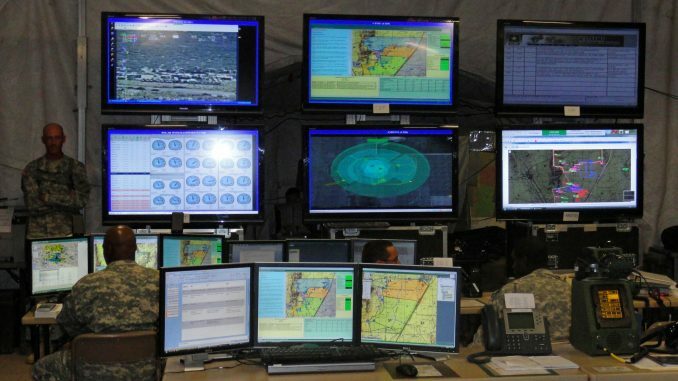 Photo Credit: Kris Osborn, ASA(ALT), A tactical operations centers like this one at White Sands Missile Range, N.M., is where much of the Network Integration Evaluation activity is monitored. Global changes in the world community lead to changes in the content and organization of education. It acquires a pronounced innovative focus, which is closely related to changes in the methodological and technological component of the training of modern specialists. The development of higher education today is associated with the potential of the newest teaching tricks, and one of the most important conditions for improving the quality of vocational education is its informatization. Informatization of society initiates the formation of information and communication environment in which its main resource is a person who is able to acquire, preserve, work with information, apply it creatively in life and professional activities, and also participate in the process of searching and creating new knowledge. The training of such a specialist is possible only with new means, focused on advancing his development as an individual, for whom knowledge becomes an important source of intellectual, personal and professional development. The growing role of information and communication technologies (ICT) in modern education has necessitated the formation of the linguistic and medical competence of students, which is expressed in the ability and readiness of a student to apply optimal methods and techniques of professional activity using information and communication technologies. Formation and development of the linguistic and methodological competence of student require the development of a new pedagogical system based on the use of ICT, implying a new content of its elements and new conditions for educational activities. One of these conditions is the integration of information and communication (ICT) and educational technologies. This is especially important for the training of future philologists since the best way to master a foreign language and improve foreign language communicative competence as an integral part of the future philologist’s linguistic and methodological competence based on immersion in the authentic environment of the language being studied. The use of information and communication technologies provides tremendous opportunities for using the target language in educational and real communication. The best custom essay writing service claims that with ICT growth, the number of unique and useful scientific researches has been increased. Students are curious about assignment writing service to improve their high-quality academic papers by looking up to newly published scientific-researches of famous scientist and researchers. The possibility of modifying and widespread distribution of materials. The use of ICT means of communication in the educational process allows the transition from a disciplinary training scheme, where a teacher is the main source of information to an information scheme, where the interpreter of knowledge is the student himself. However, the teacher is still the coordinator of an educational process and knowledge sources are distributed in space and are represented by paper and electronic books, databases, computer programs, and other valuable resources. Thus, integrating the full-time (in the classroom, library) and virtual (local or global network) interaction of participants, the learning process allows implementing an information training scheme, where students can organize effective self-study and research in group electronic projects and individualize learning. The key point here is understanding how to incorporate IR technologies into the learning process in order to ensure the most effective way to involve the entire personality of a student at the level of creative, dialogical and critical thinking, and social activity, as it has a place in professional activities. The process of integrating information, communication and educational technologies is not a simple process. Each of the technologies involved in the integration process (conceptual ideas, principles, goals, methods, forms, means of learning) should be adjusted to a particular educational activity and abilities of students. Each innovative technology should complement and clarify another one, enriching it. In the process of integration, the formation of new general knowledge as a complex, multi-component education takes place, and such a structure, acquiring the new educative attributes complicates the way of understanding it from the student’s point of view. That is why a lecturer should still be a key point in any classroom. The integration of ICT expands the methodological possibilities since the methodological components of different technologies can be combined and supplemented by the diversity and variability of methods and techniques for learning. This gives grounds to assert that the integration of ICT in the process of education is the right way to develop contemporary education activities. The integration of these technologies allows a student to purposefully claim and use all the theoretical and instrumental tools of each technology in the process of mastering the necessary competencies that create a solid base for future professional activity. Information and communication technologies successfully complement and strengthen pedagogical technologies. Thanks to their interaction, they become more effective, more targeted, their dialogue contributes to the holistic development of a student. The implementation of interaction between pedagogical methods and ICT allows bringing students to the level of active, cognitive creativity, which, on the one hand, expands the potential of their development, and on the other hand, promotes the integration of knowledge and information processing in solving educational and critical problems. The integration of modern information, communication, and educational technologies helps to create the necessary conditions for optimizing learning, making it more efficient and productive. At the same time, it should be emphasized that no matter what properties the information and communication technology tools do not possess, the priority is didactic tasks, peculiarities of students’ cognitive activity, determined by certain educational goals. Information and communication technologies are the means of achieving these goals and objectives and create the necessary information-subject environment for this.